We are all aware of how technology is changing everyday life as we know it, and it’s only a matter of time before the future of rail technology will start to shape the way we travel. 2017 was the year technology in rail really came into practice. Systems introduced included The Internet of Things, as well as Augmented and Virtual reality, and Intelligent apps. Something that we may see tacking more of shape by 2020 is ‘digital twins’. This enables metros, passenger and freight services to use sensors, data analytics, cloud computing and many other tech to gather and analyse information on a wider scale. The idea of this is to be able to offer passengers a better service on an easier and a more cost-effective measure. 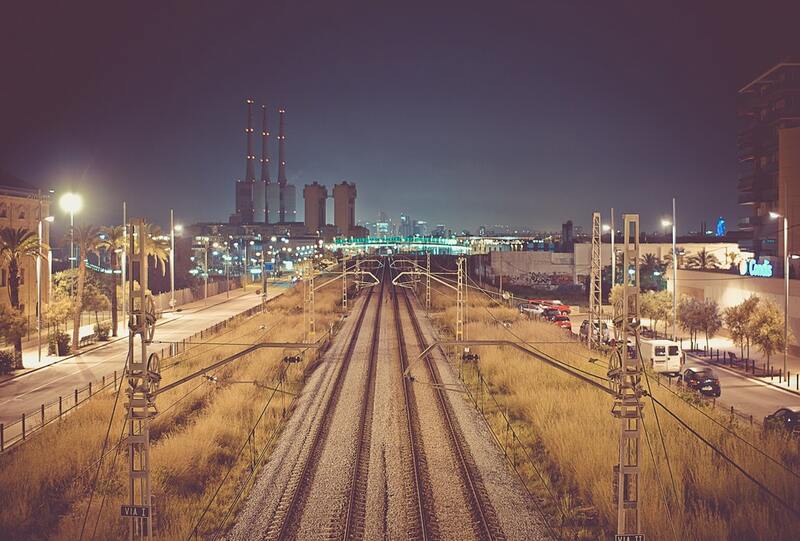 The IoT will enable the rail industry to move forward and will offer many more opportunities to those in the industry and those who invest into it. The great thing about this is that it will not only benefit those in the IT departments, it will also benefit those in engineering, maintenance, communications and the whole on board service. This is a fast and evolving digital revolution in rail technology that is set to excel the rail industry. We all know what virtual and augmented reality is, and most of us have experienced this new concept in one way or another since it’s leap in the digital world since 2016. In the last few years we have seen virtual reality headsets become a craze, leading to these becoming more affordable to buy. We also saw the mania of the Pokémon Go Augmented reality app, which saw millions of downloads and incorporated the underground and rail in its game. So, how is this concept of rail technology going to help in the rail industry? This idea of virtual reality is going to see an increase of virtual manufacturing technology, which allows designers to create 3D models of products and to also virtually test the efficiency of its performance. This concept is also going to be expanded on board. Deutsche Bahn have been working with the team at Hyperloop Transportation Technologies (HTT) to develop augmented reality windows on their ‘Innovation Train’. Keolis Commuter Services, which has operated the MBTA, deployed smart glasses by AMA XPertEye which use “augmented reality lite” and link staff in the field with technicians at the maintenance headquarters. Images can be transmitted from the glasses back to base, and the idea is that the office-based colleagues can offer advice without having to travel to the site of the problem. The good news is this will save time and money for the company, and stop possible delays for passengers. We all use apps every day. In 2009 alone, approximately 2.52 billion apps were downloaded worldwide. By the end of this year this is expected to rise to 268.59 billion. The idea of these apps is that they are built to use both historical and real-time data, which will make predictions and decisions to deliver a personal experience. We will see how this new wave of app will shape technology in the use of personal assistants, which will have a clear link to rail and metros when it comes to booking tickets, organising travel and make the user aware of changes to their commute. This is to ensure the customer experience is improved. The idea of ‘digital twins’ is a big leap in the digital world and is something that we may not see happen until around 2020, although work on this is prevalent today. Digital Twins is a software model of a physical system which can be used to analyse and simulate real world conditions, and improves operational performance which help rail and metro. It is a system that will create a deeper understanding of maintenance and bring the work of engineers and data scientists together. This will offer a detailed virtual view of the real world. All in all, things are changing, and fast. Customer experience is the forefront of innovation, especially with increasing delays and costs to commuters. How do you feel about the way rail technology is shaping the rail industry? Are you excited for this new development? Tweet us @HighfieldREC !